If you are a gamer, you surely know that to have a good experience, it is ideal to have a powerful processor, a good video card, keyboard, mice and other peripherals. 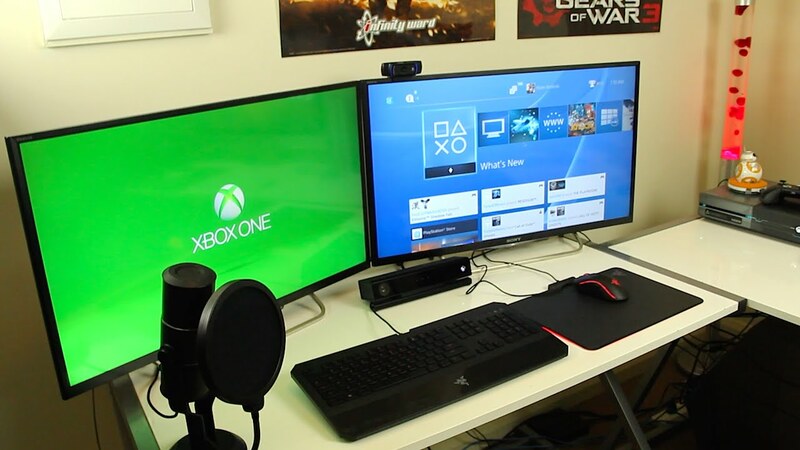 But above all those, you should have the best gaming monitor to go along with these to complete the gaming set up. However, we end up leaving the monitors in the middle, and having a quality monitor makes all the difference, allowing for higher resolutions that generate more detailed images, better refresh rates, sharper and more prominent colors as well as more comprehensive viewing angles between many other factors. However, the gaming monitor market is saturated with thousands of products. It makes choosing the best gaming monitor that suits your particular need very difficult. Here we try to shed light on the factors to consider while buying one and the best monitors for gaming, designing, video editing and other professional works too. 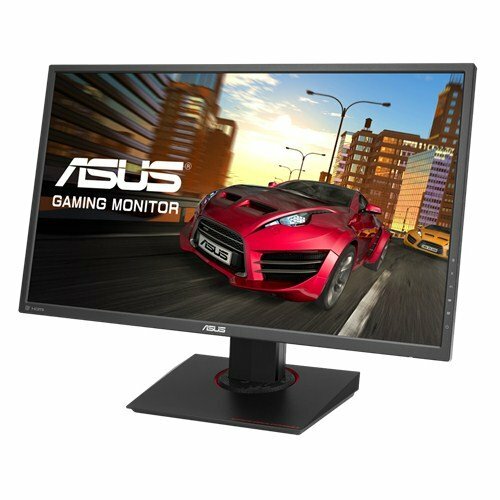 What are the best monitors for games? First of all, we need to understand that there are several types of monitors that will suit most users and that, although many seem to be the same, they are not. With the emergence of new games, some require specific features such as the need to extend the color gamut, expand the resolution for more details, and even more precise contrast adjustments. 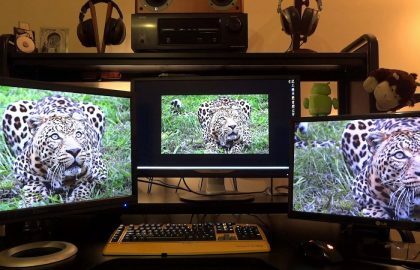 The size of the display of your monitor is determined by measuring the screen of the monitor from one corner to another, not counting the edges that surround it. As for choosing the right size for you, it all depends on the space you have free to the monitor. For example, it’s no use investing in a curved 34-inch monitor if you do not have the room set up it, right? We still have the taste issue as well, as we have the possibility of buying two (or more) monitors and extending our screen between them or as another alternative, we can simply invest in a bigger monitor. When we speak of the resolution of the monitor, take into account that it is obtained through the number of pixels that the monitor has horizontally and vertically. The more pixels it has, the sharper and more detailed the image. Currently, the most common resolution found on gamer monitors is Full HD (1920 x 1080), which features clear images and is very cost effective, with relatively affordable models and good performance. As a recommendation, we advise you not to buy monitors for games with less than Full HD resolution, as they do not normally display good quality images. As a “no regrets alternative,” it’s a good option to look for 4K monitors because even though their price is a bit higher, the picture quality is surprisingly better than conventional Full HD monitors. But, remember that for your games to run at high resolutions (like 4K), you need to have a good gaming PC configuration. If you plan to settle for 2K or 1440p resolution, check out our list of best 2K monitors. You can save enough money on the monitor to buy other gears for the perfectly balanced gaming setup. Another very important item that should be analyzed, the refresh rate is being increasingly coveted by players because a monitor with a high refresh rate will be of paramount importance when making quick and accurate plays. The refresh rate indicates how many images your monitor will display per second. Nowadays the most common rate found on common monitors is 60Hz, however as this article is focused on gaming monitors, we recommend that you look for upgrade rates above 90Hz. If you are a professional gamer or even a casual gamer who depends on seconds to set a move, this refresh rate could mean your win or defeat. Within this market, we can find a great variation that goes from 60 to 240Hz. We can consider the response time of a monitor as the speed at which the pixels change from one color to another. The idea is to look for the smallest values possible, as this image has no delays and will prevent the occurrence of ghostings, which are nothing more than traces on the screen, caused by very high response times, when pixels on the screen cannot keep pace, that is, they can not change from one color to another quickly enough. Gaming monitors require almost instant response times to accurately display images. Values indicated for gamma monitors vary from 1ms up to a maximum of 5ms. TN (Twisted Nematic): This is the most commonly used panel, usually the most economical monitors with the most affordable values. In addition to making it simpler, they have a higher refresh rate of up to 144Hz. The vast majority of TN panels have a response time ranging from 1 to 4ms. IPS (In-Plane Switching): This technology is one of the most modern, and with its liquid crystals aligned horizontally, these panels generate bright images with a great emphasis on colors. They are generally used in high-quality equipment and their refresh rate can reach up to 240Hz. Its main advantage is having a viewing angle of incredible 178º, which produce sharp images regardless of where you are looking. On the other hand, IPS panels have higher response times than TN panels, ranging from 5 to 7ms. In summary, we can say that: for users looking for beautiful colors, images with good quality, but do not need very high response times, IPS panels are the best solution, while TN panels have a faster response time. colors are not so prominent and flashy. These solutions are designed to give you a better gaming experience, eliminating traces on the screen and reducing possible delays on the monitor. In order for you to have complete success in acquiring your technology-independent monitor (FreeSync or G-Sync) you choose, you need to check which graphics processor (GPU or graphics card) you are using on your computer, it must be compatible with your new monitor. If it is Nvidia, choose a monitor with G-sync, on the other hand, if it is AMD, look for a monitor with FreeSync. Check out our list of Best G-Sync monitors for the best Price-Performance ratio. Audio is another very important item to check, we recommend you always set up a home theater system to enjoy your gaming gear to the fullest. The Acer Predator XB271HU and the ASUS ROG Swift PG279Q are not only the best 27-inch monitors, these are also the best 1440p monitors for gaming currently available in the market. It is certain that these two monitors will continue to hold the throne as best monitors, at least until the aforementioned 4K 144Hz monitors appear on the market. But these will remain the best options for years, for at least until the prices of the 4K go down. Both monitors incorporate the same IPS panel with impeccable viewing angles, a wide range of colors that covers 100% of the sRGB color spectrum, and 4ms response time. In OSD configurations, you can perform a165Hz overclock without any effort and use some unique gaming features such as “custom crosshair overlays”, FPS counter and timer. Both monitors incorporate a “DisplayPort”, an HDMI, the headphone jack, and integrated 2x2W speakers. The main difference between these two lies in its design. Both monitors are compatible with the VESA mount type and can be tilted, rotated, and their height can be modified. However, the Acer XB271HU monitor offers 30mm extra height adjustment and 15 extra degrees to tilt it but offers a slightly less stable support. The ASUS PG279Q monitor, in contrast, has a friendlier interface, a better calibration by default and its edges are thinner. Another difference is that the Acer XB271HU )has four USB 3.0 ports while the ASUS PG279Q has only two. Since both monitors are available at the same price, you can make your decision by choosing the one on offer or simply buying the one that catches your attention the most. It is guaranteed that both will deliver a stunning image quality and great performance, so it is not possible to make a mistake when choosing one of the two. The Acer X34 monitor is incredibly stylish with a slim profile, at the bottom edge of the screen, there are five red function buttons that serve to access the setup menus and a power switch. The intelligent use of energy completes the bold design, without forgetting its entire black matte and very resistant plastic housing. The support of this monitor draws much attention for its futuristic, sturdy and extremely durable design because it is all-aluminum with a V-shape that ensures the stability of the 34-inch monitor and can be easily removed. This screen is compatible with the VESA mounting pattern and comes with a mounting plate so you can attach it to the wall if you want. 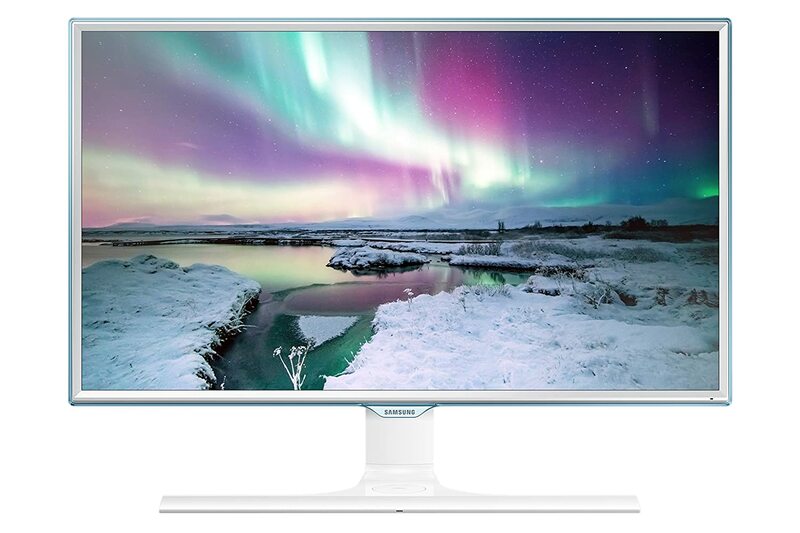 This beautiful monitor has LED lights embedded on the bottom edge of the device and these lights can be customized in red, blue, green, orange and white, not to mention that you still have the option of selecting some among predefined light effects, such as: steady, blinking, breathing or even ripple. With a horizontal viewing angle of 172º and vertical of 178º and the fact that your screen is curved, the monitor allows a greater field of vision if we compare with other similar gamers monitors. With a perfect fit, designed so you can play with multiple monitors, with the ZeroFrame design that virtually eliminates the side edges, leaving your setup with multiple monitors much more beautiful and immersive. The Predator X34 has an ultrawide 21: 9 QHD resolution with a resolution of 3440 x 1440 which gives it a wider and clearer field of view, providing a unique experience while playing or even watching your movies and favorite series. NVIDIA G-SYNC technology already comes with its own dedicated pre-installed module that creates a smoother gaming experience without compromising performance. This process syncs the frames created by Geforce video cards with the monitor refresh rate, thereby completely eliminating screen distortions or delays. Image settings include brightness, contrast, adaptive contrast, black boost, and low blue light in the advanced monitor settings that still allow changes in color temperature, gamma, color saturation, and red, green color intensity level adjustments, blue, cyan, magenta and yellow, without forgetting the game mode feature. Remember that all these changes will be made through the five function buttons that are on the bottom edge of the screen. The stand is fully adjustable allowing 127mm height adjustment, 40-degree tilt being 5 degrees forward and 35 degrees back. The holder has a button that when pressed allows you to remove the screen from the base and attach it to the wall with the VESA mount. It still has an integrated OverClock, allowing you to change the monitor refresh rate up to 100Hz and the default is 75Hz. 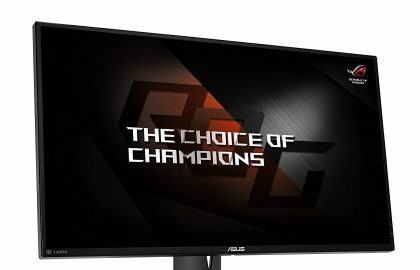 The ASUS PG278QR monitor is basically the same model as the previously mentioned ASUS PG279Q with G-Sync, except that it comes with a TN panel (“twisted nematic”) instead of an IPS (“in-plane switching”). It is a better choice for competitive gaming. With only 1ms response time, you will be able to experience the least amount of “ghosting”, “trailing” or “juddering” in fast moving objects. It will give you an advantage over your opponents when playing first-person shooters. 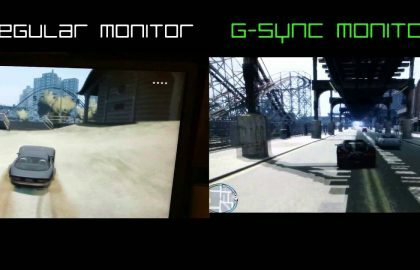 However, if you prefer first-person shooters that are less competitive or RPGs, then an IPS monitor would be the best choice for you. 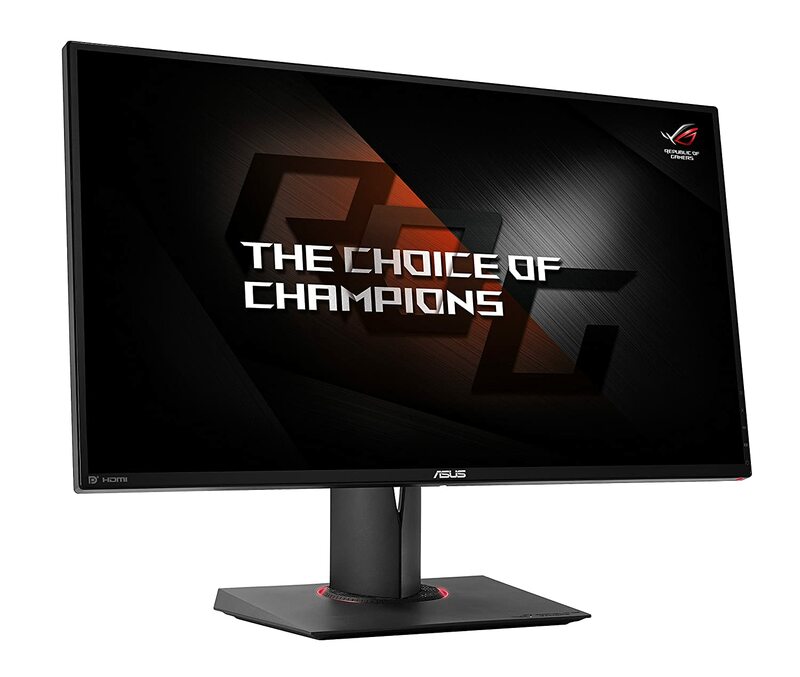 The ASUS PG278QR display,an 8-bit TN panel that covers 100% of the sRGB color spectrum (green red and standard blue), which means that its colors will look brighter than in the vast majority of available TN monitors, although they will not look as vibrant as an IPS monitor. The viewing angles are 170 degrees horizontally and 160 degrees vertically. However, since the monitor comes with many ergonomic functions included, you can easily adjust it to enjoy an unparalleled image experience from almost any angle or distance. More importantly, with the ASUS PG278QR , you will have a gadget that guarantees the most fluid gaming experience for your eyes. If you are looking for gaming monitors at more affordable prices that can keep you on par with your opponents, the best option is to opt for a FreeSync monitor. Unlike monitors with G-Sync, monitors with FreeSync do not cost extra for the adaptive synchronization feature but still offer an improvement in visual performance almost equal to that of the G-Sync. The ASUS MG278Q monitor features a matte finish with rubberized feet that allow for good attachment to virtually any surface. Its frame is extremely thin, allowing a good view independent of the angle and its base is rectangular with a circular red detail. Designed for long jogging marathons, its model is slim, lightweight and easy to handle. It has a modern and sophisticated design and it is possible to remove it from the base and fix it to the wall following the VESA standards. The base of the ASUS MG278Q monitor is fully ergonomic and has been designed to be adjustable according to your needs, having height, tilt, rotation and pivot adjustments, so that you find the ideal position and provide you with more comfort. With a response time of just 1ms and a TN panel, this is undoubtedly one of the fastest and most stable monitors on the market. In addition, it also features AMD FreeSync technology for smoother gameplay and incredible performance without traces on the screen. With a 27-inch screen and a WQHD resolution of 2560 x 1440, you’ll have more detailed images and about 77% more “usable space” than Full HD (1920 x 1080) screens. 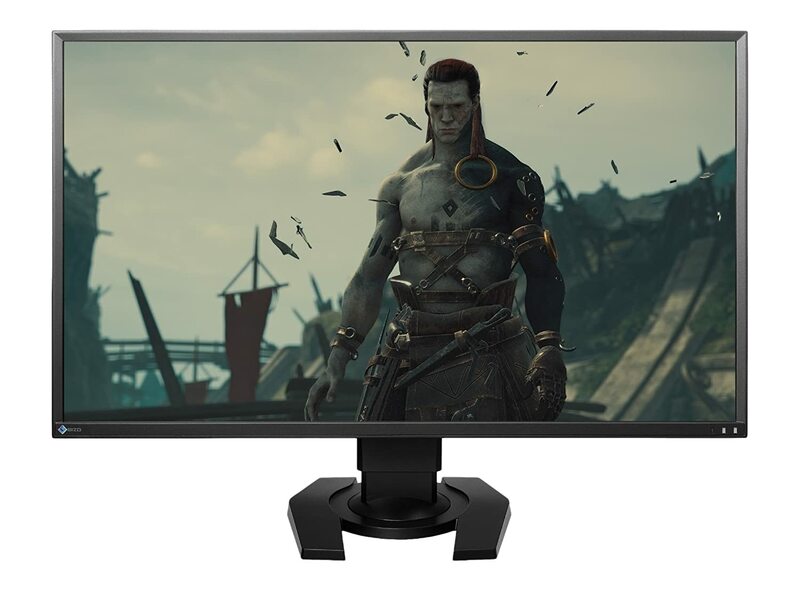 Its 144Hz upgrade rate, with this monitor you will not have problems with FPS games, races, RTS or even sports games that are considered fast games, but you will also need a very powerful GPU configuration, especially in the last AAA games. Crosshair: This option will have four crosshair options, and you can select which one fits better to the game you are playing. Timer: A timer that will be in the upper left corner of the screen and will display the time that is passing while you are playing. (Indicated for turn-based games). FPS Counter: Counter frames per second, letting you know how smooth the game is running. Protect your eyes with ASUS Ultra Low Blue Light technology, which filters and protects your eyes from the blue light, which is harmful. In addition, Flicker-Free technology, which reduces oscillations that cause discomfort and cause eye strain especially when playing for hours. 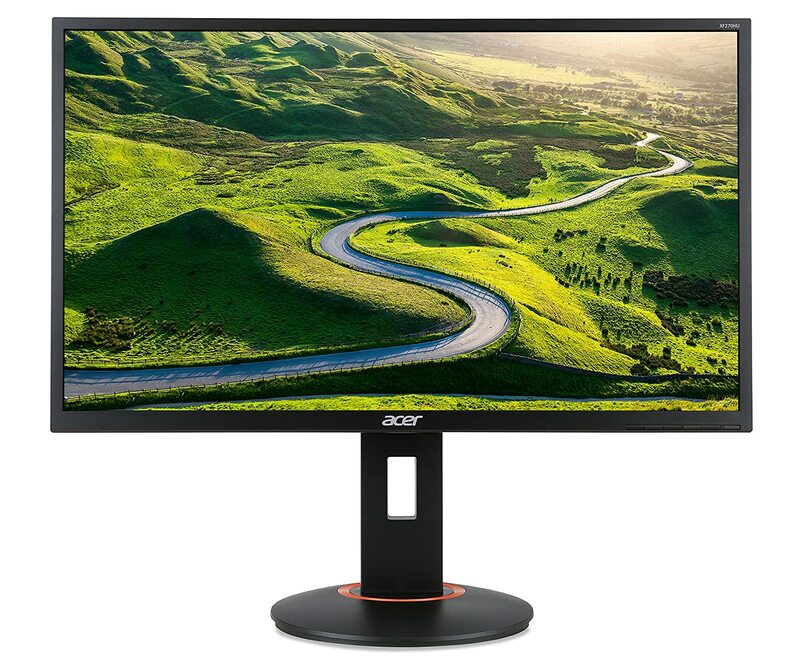 An even cheaper alternative is the Acer XG270HU monitor, which offers the same performance and image quality, but its height cannot be adjusted. The Acer XG270HU monitor includes a “DisplayPort”, an HDMI port and a DVI port. Both the 25UM58 monitor and the 29UM68 have a sleek design with ultra-thin edges that help improve visibility and, even if their finish is all reinforced plastic, have good durability and strength. Its predominant color is glossy black. Unfortunately, its support does not have many ergonomic adjustments, allowing only a slope of 25 degrees, also has a VESA mounting interface standard that will allow you to fix it on the wall, which slightly compensates for the lack of these adjustments. 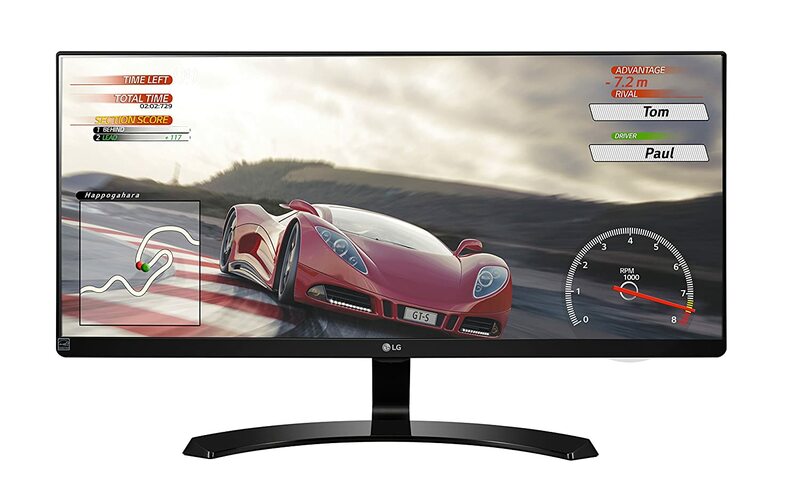 With the 21: 9 ultrawide aspect ratio, games have become more appealing on these LG monitors by the larger size and screen format with more horizontal viewing space, making your games more interesting and giving a greater sense of immersion to the user. IPS technology highlights the performance of the 25UM58 and 29UM68 liquid crystal monitors, which provide a much higher image quality and still contribute to a wider viewing angle. But it is worth remembering that the response time of monitors with such screens are shorter and we see this on LG monitors that have a response time of 5 ms, relatively high for monitors gamers in this price range. With the Screen Split 2.0 control, you have the option to customize the layout of your monitor and display multiple screens at the same time and in addition to already having 14 preconfigured options, the software still allows the user to modify the existing ones or create your own layout. Yet because of its IPS display, the LG 25UM58, as well as its larger brother, the 29UM68 support 178-degree viewing angles both horizontally and vertically, allowing you to see virtually from any angle with little or no distortion. The Acer XF270HU and the ASUS MG279Q are similar to the aforementioned models except that they can not raise their “refresh rate” by overclocking at 165Hz, but can only reach 144Hz. In addition, they use FreeSync technology instead of G-Sync, which in turn makes them cheaper. Your response time, gaming functions, connectivity options and design attributes are the same as your brothers. It is apparent that in terms of gaming monitors, although it seems that there are a lot of models in the market there are actually few but with slight variations in their configurations, depending on the type of panel, resolution, and adaptive synchronization. Hopefully, this list can clarify your doubts about monitors and help you choose the monitor with the perfect specifications to meet your needs. Not only are 1080p monitors significantly cheaper than 1440p monitors, but also the hardware requirements to play high-quality video games in 1080p are lower. 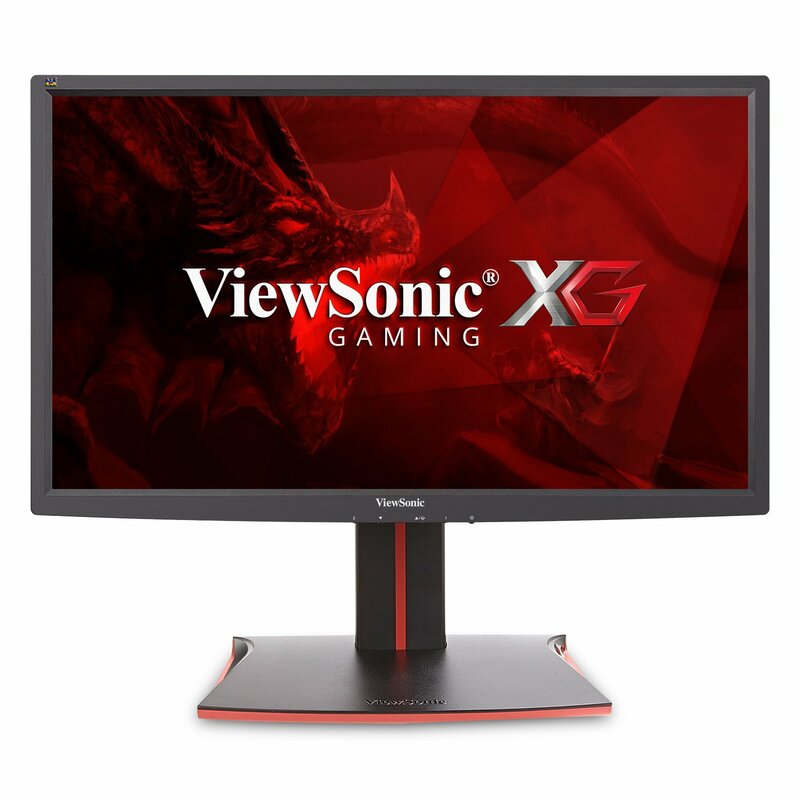 If your budget is a bit tight, but you want a 27-inch monitor that also includes 144Hz then your best choice would be the ViewSonic XG2701. In addition to its high refresh rate, this monitor offers FreeSync, a 1ms response time and other gaming functions such as black stabilization (better visibility in dark scenes) and a game mode (pre-calibrated settings for first-person shooters) , MOBAs and real-time strategy games). 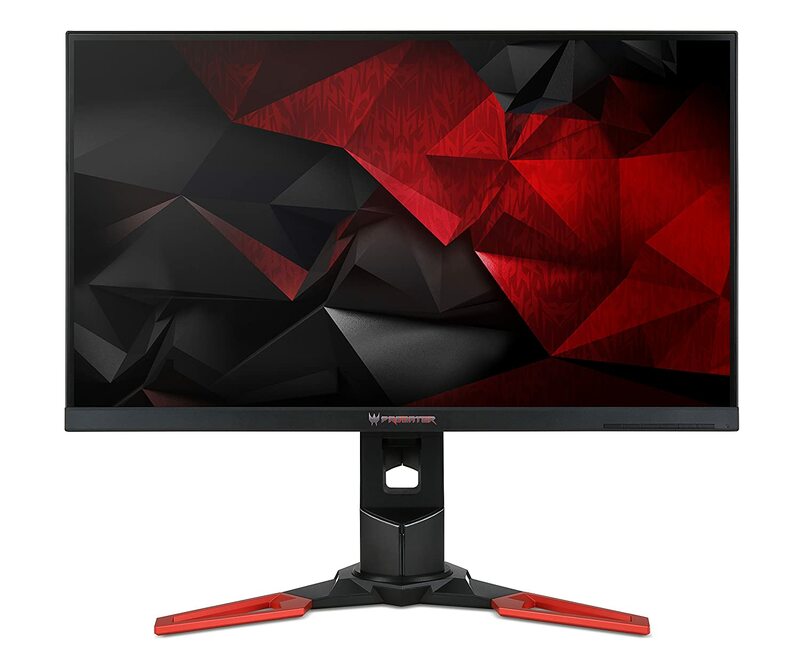 The ViewSonic XG2701 with FreeSync monitor has an ergonomic design with a gamer-inspired appearance, including a headphone hook, extra USB ports, an HDMI port and a DisplayPort port. In terms of image quality, the colors on this monitor are a bit less expressive than on the most popular gaming monitors from ASUS and Acer, but their performance is cutting-edge. For those who have powerful Nvidia video cards and want to get the most out of them by spending the least amount of money, there is the Acer Predator XB270H. Its specifications are G-Sync, a response time of 1 ms, a refresh rate of 144Hz, and gaming functions that only the Predator line monitors offer. Additionally, the XB270H monitor has four USB 3.0 ports, one of which is dedicated to fast charging. The design and ergonomics are identical to other Predator monitors but have only one DisplayPort port. There is also a FreeSync version of this monitor with an extra HDMI port, the Acer XF270H. 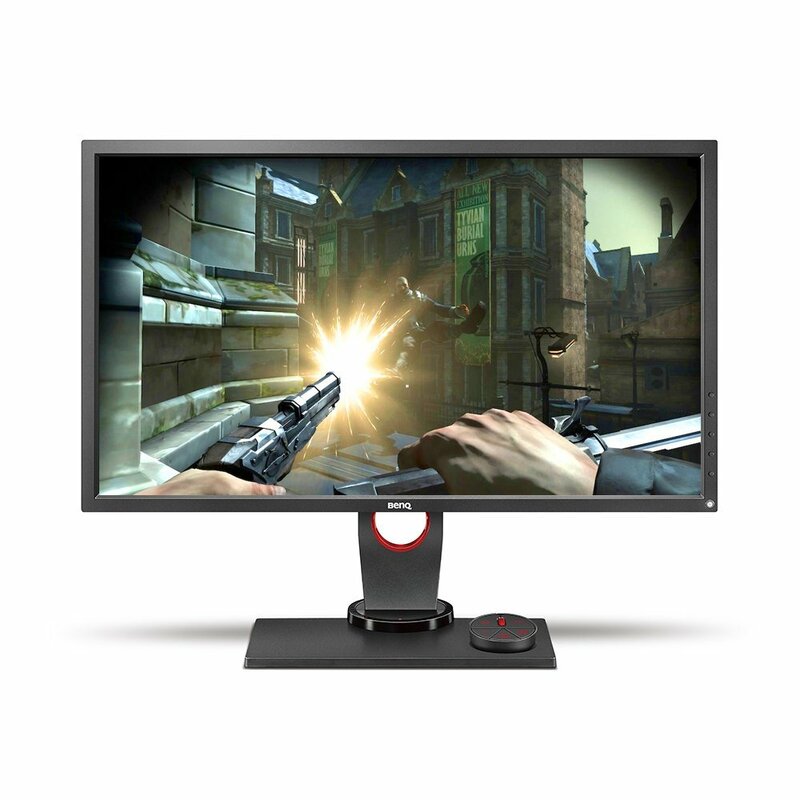 The AOC Gamer Sniper Monitor has a simple and modest design, which well highlights the reddish band at the base of the monitor. At the bottom right are the buttons to configure the monitor, which allow quick access to the volume, brightness, menu and/or access the pre-configured game modes. The finish of the AOC really impresses, because even being all plastic, the monitor has a brushed aluminum texture that gives it an elegant and sophisticated touch. Its base is circular and allows to tilt it forward by up to 5 degrees and backward by 20 degrees, not to mention that it can still be fixed to the wall using the VESA standard. Its screen is rectangular, with thin edges and with a horizontal viewing angle of 170º and vertical of 160º. The AOC has made available to this monitor Anti-Blue Light technology that will protect your eyes from the blue light that is harmful and can cause eye pain, headaches, and sleep disorders. With this technology built into the monitor, you are free of worries during your games. The G2460VQ6 monitor comes equipped with two 2W speakers that if you do not have an auxiliary sound will be very useful. However, if you have auxiliary sound, this monitor has two 3.5mm auxiliary inputs. DRC (Dynamic Contrast Ratio) technology allows you to automatically adjust the brightness of the screen, calibrate the gamma level and RGB and color temperature. When triggered, it is easy to see that the images have become more detailed especially in darker areas. Extremely recommended for games with high contrast ratio. With full HD resolution, the AOC Sniper guarantees a simply beautiful image, with more clarity and clarity, without traces on the screen and with many details that will greatly improve the viewing and its performance in the games. 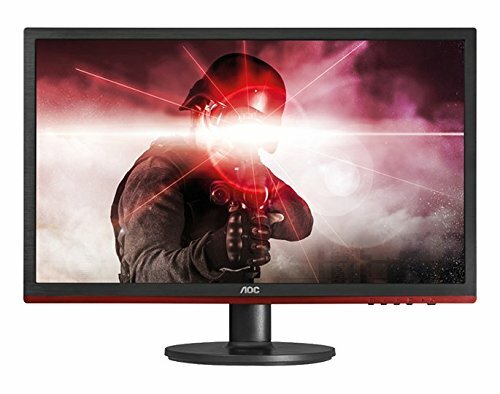 With a response time of 1ms, this monitor has excellent overall performance. The monitor also has a display port connection, which is the best solution currently for high-resolution video and audio signal transmission. In this list we have another monitor from the Predator series, but this time of the Z1 series. This state-of-the-art gaming monitor, the Acer Predator Z271T, comes with a VA type panel with a 3,000: 1 contrast ratio and a 4ms response time. It also has a 1800R curvature for a much more immersive experience and Tobii eye-tracking technology. The eye tracking feature consists of a camera that tracks the movements of your eyes and helps you react faster in FPS games once you get used to the technology. There are more than 40 games that are already compatible with this technology, so if your favorite game is on the list, the Acer Z271 1080p monitor could revolutionize your gameplay experience. Unfortunately, the resolution of this monitor is only 1920X1080 which may seem repulsive to some consumers. Other features include 2x7W speakers, four extra USB 3.0 ports, G-Sync, 144Hz, and a user-friendly control interface that can be navigated with the joystick on the back of the monitor. The monitor offers an ergonomic design and has a DisplayPort and another HDMI port. The BenQ Zowie XL2730 is the official gaming monitor of numerous eSports tournaments for video games such as CS: GO, Overwatch, Battlefield 1, etc. It offers fluid performance thanks to its 144Hz, 1ms response time and its many unique features such as its “Black eQualizer” for better visibility in dark scenes and its Blur Reduction, which works like the Nvidia ULMB. This monitor also includes FreeSync, although it is not mentioned on the BenQ page. In addition to providing professional players with outstanding performance, the BenQ Zowie XL2730 with FreeSync also offers ergonomic features, enough connectivity options including VGA, DVI-DL, two HDMI ports and a DisplayPort1.2 port, a headphone jack and another for microphone. The Z27i XL2730 includes a device called the S switch, which allows you to navigate effortlessly through the menu of the monitor interface to modify preset image settings and other monitor functions. The monitor also allows you to download the settings created by professional players and use them on your screen or mount them on a USB stick. For those with a tighter budget, the BenQ Zowie XL2720 is an excellent alternative that can be used as a monitor in eSports tournaments. With an innovative and impressive design, the LC24FG70 curved monitor was inspired by the curvature of the human eye and its viewing is comfortable and enjoyable, providing an incredibly immersive experience. The radius and depth of the 1800R curve create a wider field of view, making it larger and more enveloping than a flat screen with the same proportions. The quality of construction of this monitor is something that surprised us, where its dark blue frosted black color gives a special charm to its tough and durable plastic housing. The Full HD resolution of the Samsung LC24FG70 is another of its highlights, possessing very clear and beautiful images. The refresh rate of the LC24FG70 monitor screen is 144Hz, which means that during gameplay you will not see any blur or swings in the image. You still have the option to select other 60Hz, 100Hz or 120Hz upgrade rates so you can be optimizing the refresh rate for your game and your video card. Quantum DOT technology is widely used in TVs, but relatively new to gamers. The Samsung LC24FG70 brings this technology that supports up to 125% sRGB colors, enabling more accurate and vibrant colors, remaining crisp even in bright surroundings. Allowing your games to gain more life and many colors. Due to the curved display screen of Samsung, it minimizes light output virtually across your screen, including in the corners, making it ideal for games with sharper contrasts and much brighter scenes, even if your environment is low or too much light. The monitor’s footrest allows for height, tilt, pivot and swivel adjustments, which with its double hinge allows a more precise positioning of the screen and despite having a fragile appearance, keeps the screen in place with enough stability. The base even allows you to safely store your headset after long hours of playing. The LC24FG70 has a wide variety of liquid crystals that guarantee a uniform black and will minimize light leakage ensuring a much sharper and brighter image quality compared to a conventional screen. The Eizo Foris FS2735 is the first monitor to include Bluetooth connectivity, which allows you to synchronize it with your cell phone to answer calls on the monitor, use your cell phone as a remote control and receive notifications on the screen whether you use iOS or Android. In addition to this unique and convenient feature, the Eizo FS2735 monitor with FreeSync also delivers impeccable performance, vibrant image quality and a significant number of additional functions. The combination of FreeSync, a response time of 4ms and an input lag of 0.35ms offer an immersive and highly responsive gameplay in any genre while the image quality exceeds expectations due to the IPS panel. There are many connectivity options, including a DisplayPort 1.2, two HDMI ports, one DVI-DL port and two USB 3.0 ports. Additional gaming features include “Smart Insight Demolition” which provides better visibility in dark scenes, “G-Ignition” which allows you to import image adjustments from other players and a feature that reduces “motion blur”. The Lenovo Y27F is one of the most economically accessible 27-inch monitors, has a curved 1800R display, a refresh rate of 144Hz, and a crystalline VA panel. This model also includes a hook for headphones, it is compatible with VESA mountings and can be tilted. It has a DisplayPort port, an HDMI port, 4 USB 3.0 ports and an audio jack. In general, this amazing monitor for the price it has since it offers a quality of image above average with a contrast ratio of 3,000: 1. In addition, its performance is incredibly fluid thanks to its 144Hz, FreeSync and its response time of 4ms. Since the resolution of the monitor is 1080p, this far will limit the performance of the graphics that your computer can produce. However, the experience of playing video games on this monitor is exceptionally immersive. 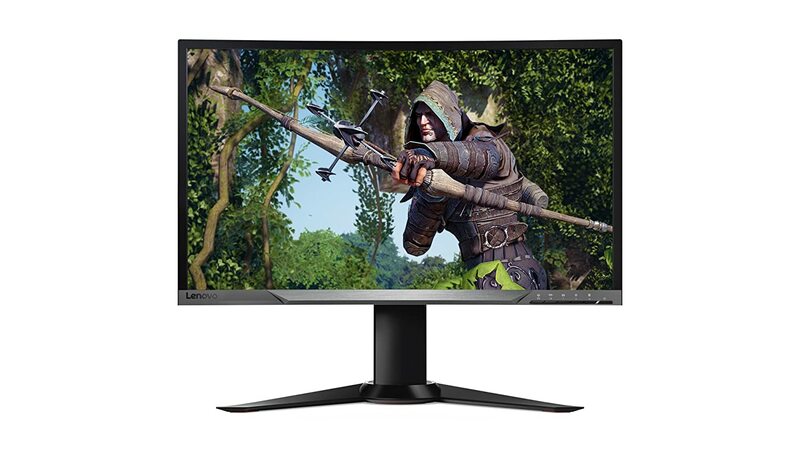 There is also a G-Sync version of this monitor, the Lenovo Y27G with exactly the same features except for the type of adaptive synchronization; It is worth mentioning that it costs an additional $150 USD. Unless you already have a powerful Nvidia graphics card, the G-Sync on this monitor is not worth it since you could better invest that money in a higher graphics card. 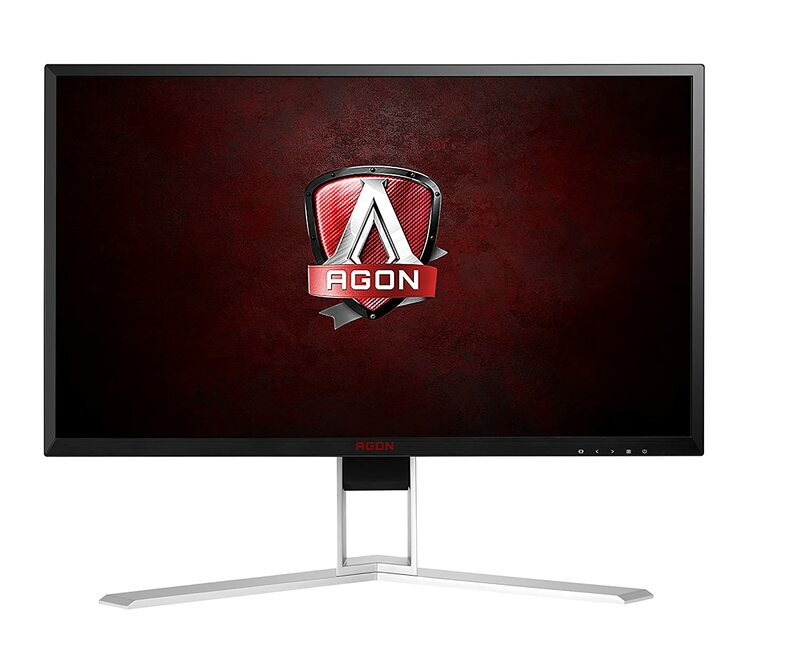 The AOC Agon AG271QG monitor is as amazing as the rest of the contenders on our list thanks to its fluid performance and image quality, and it’s up to $150 USD cheaper. 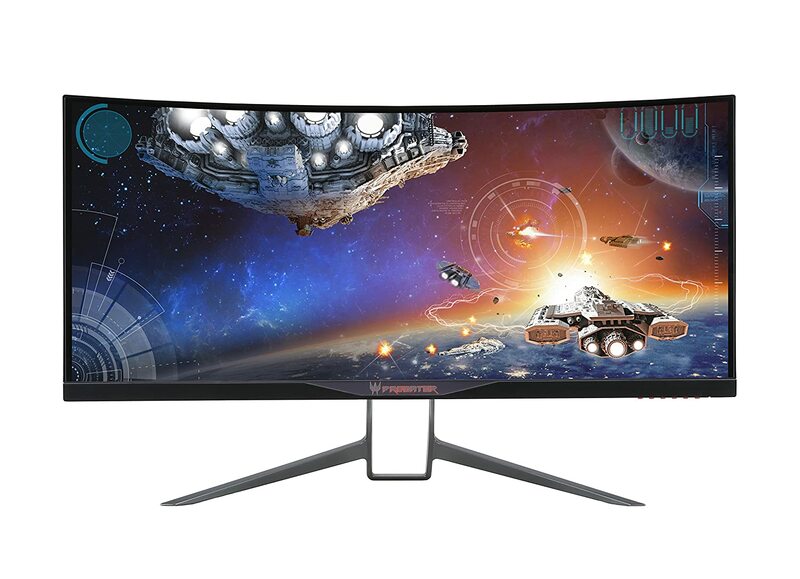 All key specifications are present: G-Sync, 144Hz (which can be raised to 165Hz by overclocking), 1440p resolution and a fantastic IPS panel to display vibrant colors. The response time of 4ms with an exceptionally low “input lag” will give you an immediate response on the screen every time you press a key, in addition to objects that move quickly on your screen will be very clear. The available connectors are HDMI 2.0, a DisplayPort, four USB 3.0 ports, a headphone jack and a microphone jack. The modern design of this monitor offers ergonomic features, 2x2W speakers and is capable of being mounted on VESA. The edges of the screen are only 11 millimeters thick, which will make the images displayed on the screen stand out. The screen has a 3H anti-reflective coating to eliminate the annoying brightness that occurs when the sun is reflected on your screen. It has functions for gaming such as AOC Shadow Control (better visibility in dark scenes) and the AOC Game Control (advanced settings of saturation of colors and levels of black and white). Compared to the Acer XB271HU and the ASUS PG279Q, the AOC AG271QG performs at the same level while the image is slightly lower but still excellent. This difference is further reduced by calibrating the image settings in detail. If what you’re looking for is not a 144Hz gaming monitor, but a more affordable monitor, the Dell SE2717H will certainly get your attention. This monitor is not only one of the most affordable 27-inch monitors on the market, but also its design is one of the most beautiful you can find. In addition, it offers FreeSync technology with a dynamic range of 48 to 75 Hz. If your hardware is not enough to run scenes from 1440p to 144Hz but still want to enjoy movies or play casually, this monitor can meet your needs. 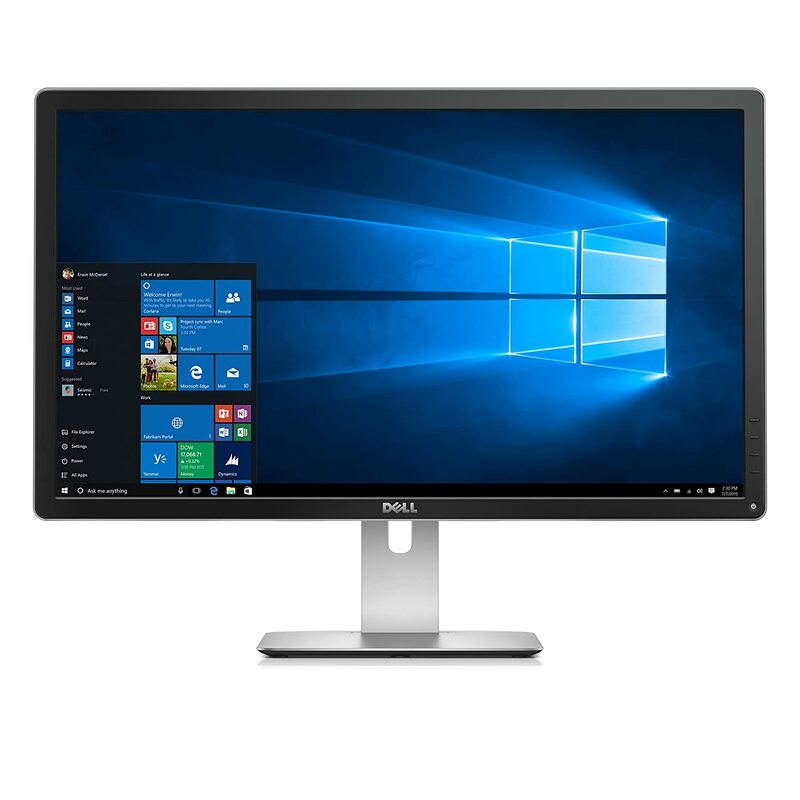 This full HD resolution monitor has an IPS panel to display accurate and vibrant colors, 178 degrees of vision and a solid 6ms response time. This monitor has a blue light filter plus its screen is free of blinking, allowing you to play for hours without feeling your eyes fatigue. 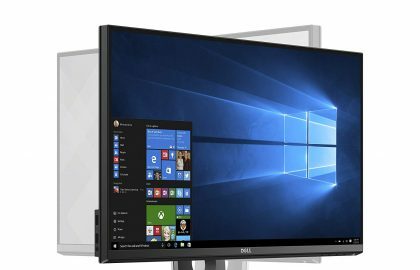 The Dell SE2717H 1080p monitor has only one VGA port and one HDMI port, which is a shame because a DVI port would be much better than the VGA port. Still, these two connectors are enough. It’s elegant, slim and classy design consists of glossy black edges while the screen has a matte finish. The only disadvantage is that its ergonomics is limited because the screen can only be tilted and cannot be used with VESA mounts. Considering the price of the monitor, these problems of connectivity and ergonomics become negligible. Exceeding the previous monitor in terms of image quality, but still staying in the same budget is the ASUS PB278Q. Compared to the other monitor that has Full HD, the 1440p resolution of this monitor provides you with 77% more desktop screen space and much more vivid detail. This panel does not include adaptive synchronization and is limited to 60Hz, but this product focuses on the quality of the image and its PLS panel covers 100% of the sRGB color spectrum. This makes it the best 27-inch monitor for photo editing below 400 USD. The PLS panel is almost identical to the IPS, only it is a little cheaper. The ASUS PB278Q monitor offers a fast response time of 5ms and 178 degrees of viewing angle, which is as good as any other IPS panel. 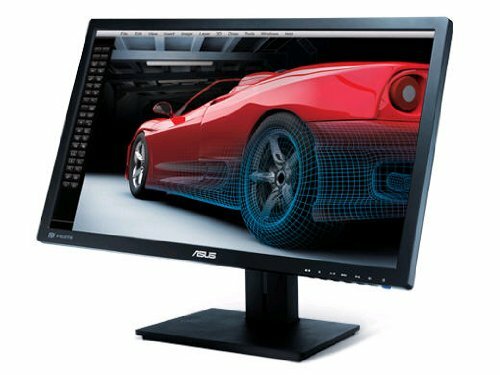 In addition to the amazing image quality, economic price, and good performance, the ASUS PB278Q monitor offers a number of connectivity options and adjustments to improve ergonomics. Available ports include 1 VGA, 1 HDMI, 1 DisplayPort and 1 Dual-Link DVI. This monitor also includes 2x3W speakers. As for ergonomics, the monitor can be tilted, its height can be adjusted, it can rotate and is compatible with VESA mountings. One of its unique features is the “QuickFit Virtual Scale”, which allows you to display a virtual matrix on the screen to more easily format your documents, photos, etc. Finally, the monitor comes with several pre-configured image profiles from which you can choose using a key on the monitor. 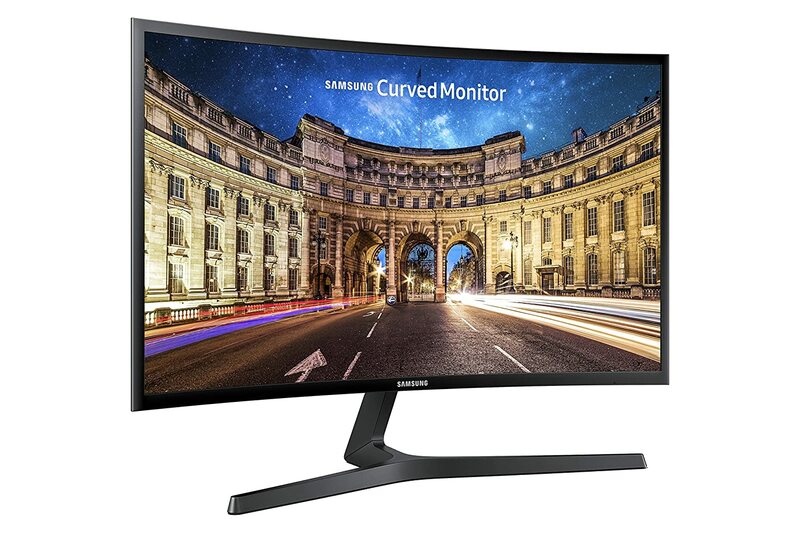 For those who want to buy a 27-inch curved monitor without hurting their wallet, there is the Samsung C27F398. This monitor offers a panoramic curvature of 1800R, for an immersive experience whether you’re working, watching movies or playing video games. 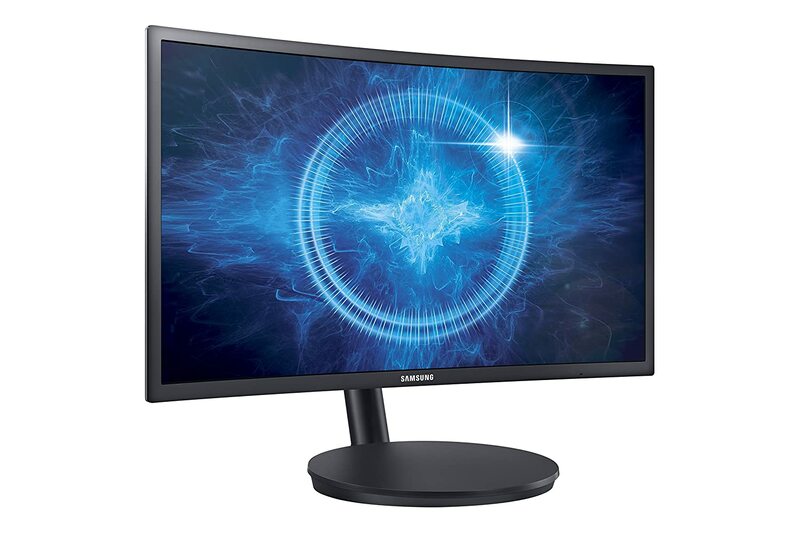 In addition, the Samsung C27F398 monitor has a VA panel with a 3,000: 1 contrast ratio, which provides brilliant image quality with expressive colors. The screen is limited to 60Hz, but it offers FreeSync technology for a fluid gameplay if you are an AMD user. Other panel specifications include a response time of 4ms and a viewing angle of 178 degrees. As for connectors, this monitor has an HDMI port and another DisplayPort port. The design consists of a firm body in the shape of a T, a screen with a matte finish and a thin profile of only 0.5 inches thick. It is compatible with VESA frames of 75x75mm and the screen can be inclined 22 degrees, although it is not possible to make small adjustments to increase its ergonomics. In general, this widescreen monitor provides brilliant image quality and fluid performance regardless of the activity you do on the screen, and it just looks amazing. 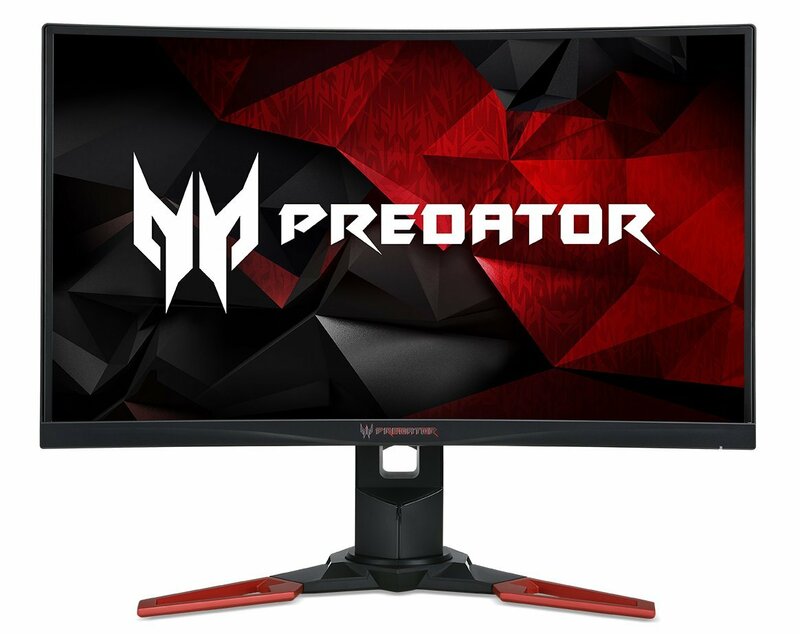 Until the titans of 144Hz and 4K are available and can roam the earth, the Acer Predator XB271HK will occupy the throne of the best gaming monitor that displays content at 4K. Even when they are launched, the Acer XB271HK will continue to be relevant as there is still no card that can exceed 60 frames per second at 4K. This monitor can be significantly more expensive than other 4K monitors, due to its G-Sync function, but without this feature, you will not be able to enjoy a smooth gameplay experience. Keep in mind that even with some of the most powerful video cards on the market, for example, the Nvidia Geforce GTX 1080, you will not be able to run most games with maximum settings at 60 stable frames per second. Even so, enjoying video games in 4K is an out of this world experience even when they run at less than 60 frames per second, with few effects and “anti-aliasing” on. In addition to offering you an impeccable gaming experience, the Acer XB271HK comes with an IPS panel that covers 100% of the sRGB colors, 4ms of response time and impeccable viewing angles. It has a lot of adjustments to improve ergonomics and can also be mounted on VESA media. To be able to display 4K at 60 frames per second, the XB271HK includes a DisplayPort 1.2 port and an HDMI 2.0 port. Other features are that it includes 4 USB 3.0 ports, 2 speakers of 2W each, and the functions of the Predator series that the rest of its products offer (table counter per second, timer among others). With G-Sync activated, this monitor can reach up to 75Hz, with a dynamic range of 24 to 75Hz. This is where the difference between G-Sync and FreeSync will be serious. 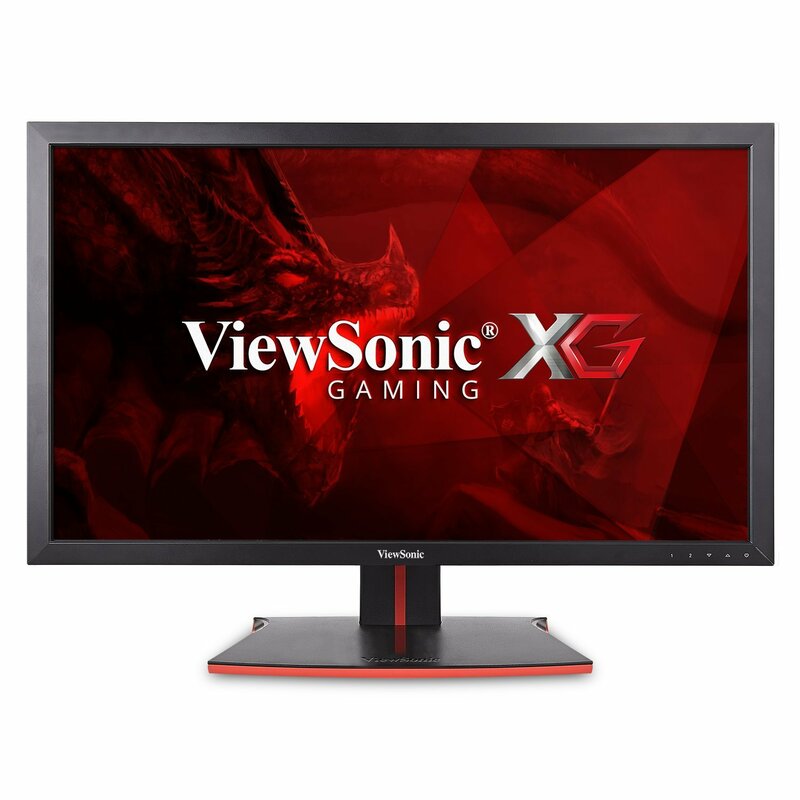 The ViewSonic XG2700-4K is available for $330 USD less than the Predator XB271HK monitor. The ViewSonic XG2700-4K also includes an IPS panel that is compatible with 10-bit colors (8 bits + FRC) and offers a viewing angle of 178 degrees. However, its color range only covers 98% of the sRGB colors and 70% of the Adobe RGB colors, while its response time is 5ms. It is suitable for many adjustments that improve its ergonomics and has enough connectivity ports: 4 USB 3.0, 1 DisplayPort, 1 mini-DisplayPort, 2 HDMI 1.4 that are compatible with MHL, and 1 HDMI 2.0. 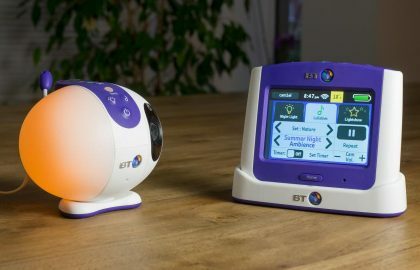 It also includes 2 3W speakers and some exclusive features such as black stabilization (which improves visibility in dark scenes), PbP and PiP (functions that allow you to display screens of 2 devices at the same time), and a blink-free screen. Compared to the Acer XB271HK, it offers almost the same image quality and performance, at least that’s what it seems until its adaptive synchronization capabilities are considered. While the XB271HK monitor offers a generous dynamic range starting at 24Hz, the ViewSonic XG2700-4K monitor has a dynamic range that starts at 40Hz. This means that if your computer can not reach 40Hz, you can not use the FreeSync at all, so keep that in mind. In counterpart, if you want to opt for the 4K monitor with G-Sync, you would have to invest at least another $ 330 USD plus another $ 660 USD to buy a graphics card that can provide the graphics you need. Although it entails a more expensive cost, you can enjoy cutting-edge image quality and unparalleled performance. Even if you can not benefit from your FreeSync, but want a 27-inch 4K display, the ViewSonic XG2700-4K is a good option at an excellent price. It even costs less than some 4K monitors that do not have the FreeSync function. 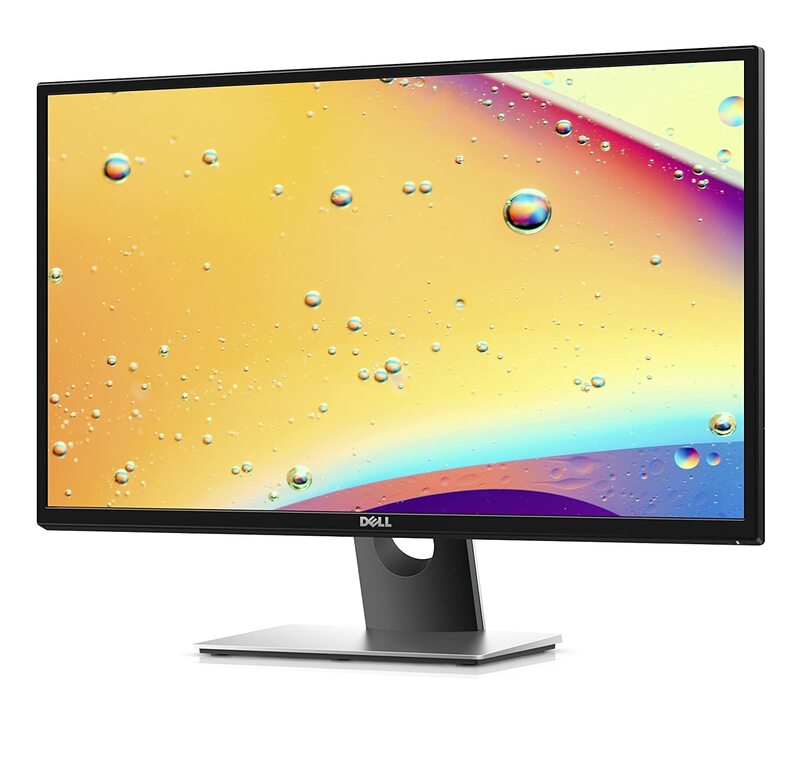 The Dell P2715Q monitor has recently dropped in price, making it an ideal choice for professional designers and photographers looking for a 4K display. The monitor covers 99% of the sRGB color spectrum and 79% of the Adobe RGB; it is calibrated by default to Delta E <2 and includes the calibration reports. Naturally, the Dell P2715Q comes with an IPS panel for uniform, consistent and accurate colors, being able to display 10-bit colors. It is completely ergonomic and has many connectivity options such as 4 USB 3.0 ports, 1 HDMI 1.4 port with MHL, 1 audio output, 1 DisplayPort, 1 mini-DisplayPort, and even 1 DisplayPort-Out. 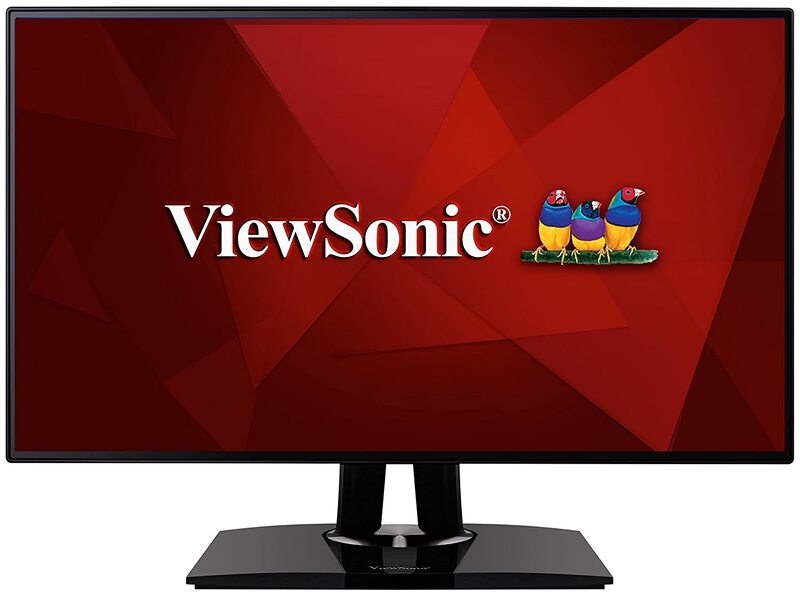 The ViewSonic VP2768 is one of the latest ViewSonic monitors designed for professional designers, and they have already proven their perfect performance. The IPS panel offers a “true 8-bit” color depth and “14-bit 3D LUT”, which provides you with a palette of 4.39 trillion colors. The precision of colors is calibrated in the factory to the standard Delta E <2, and in the documentation that comes with the monitor, you will be able to find the reports of calibration for different ranges of colors. The consistency and uniformity of colors are guaranteed due to the sRGB, EBU, SMPTE-C, and Rec. 709 color schemes with which the monitor is compatible. The ViewSonic VP2768 can also be calibrated using the Colorbration Kit, which offers 6-axis color adjustment. The monitor is completely ergonomic, in addition to providing the following connectivity ports: 2 HDMI 1.4, 1 DisplayPort, 1 mini-DisplayPort, 1 DisplayPort-Out, 4 USB 3.0 ports and 1 audio output port. 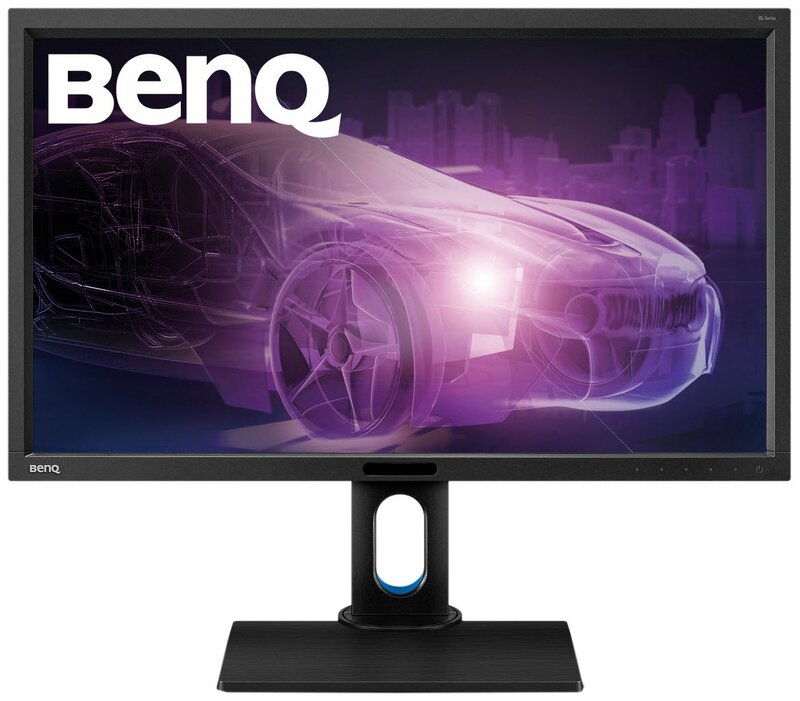 The BenQ EW2770QZ is another recently launched monitor with excellent performance, great image quality, and innovative technology. This monitor has the “Brightness Intelligence Plus” (BI +) function, which consists of a sensor that automatically adjusts the temperature of the colors and their brightness according to the ambient light and the content displayed on the screen. It is ideal for offices where workers spend a lot of time looking at their screens. In conjunction with its blink-free screen and blue light filters for different activities (web browsing, reading, office work), BI + technology makes this monitor one of the most eye-friendly screens today. Other features of the monitor include 1440p resolution, 8-bit color depth, 100% sRGB and Rec709 color spaces, and 5ms response time. The monitor can only be tilted but compatible with VESA brackets. It has 2 HDMI 1.4 ports, 1 DisplayPort 1.2, a headphone jack and 2 2-watt speakers each. Its design consists of a beautiful thin frame that covers the four sides of the screen, coated with a light matte coating. The Samsung S27E370D monitor, also known as the Samsung LS27E370DS, is the ideal monitor for those who can not leave their smartphones alone for work or entertainment. With the wireless Qi recharge base, you can simply leave your cell phone resting on it while it charges and stays within your field of vision. This charging case is compatible with S6, S6edge, S6 edge + and Note 5 cell phones. It can also be used with Note 3, Note 4, Note 5, Note Edge, Galaxy S5 and S4 cell phones once a capable battery is purchased to be wirelessly charged. Other monitor specifications include 8-bit PLS panel with 90% coverage of the sRGB spectrum, 4ms response time and FreeSync technology. The connectivity ports that this monitor offers are: 1 HDMI connector, 1 DisplayPort 1.2 port, and 1 VGA. However, the monitor can only be tilted and is not compatible with VESA mount. In general, this is a great innovative yet economical monitor with a vibrant 1080 resolution and brilliant image quality. Whether you’re a professional graphic artist, animator or video editor, the BenQ Bl2711U will offer you everything you need to create high-quality content. The monitor uses an AHVA panel (IPS) to obtain 178 degrees of viewing angle and accurate 10-bit colors that cover 100% of the sRGB and Rec709 spectrum, as well as 99% of the Adobe RGB spectrum. 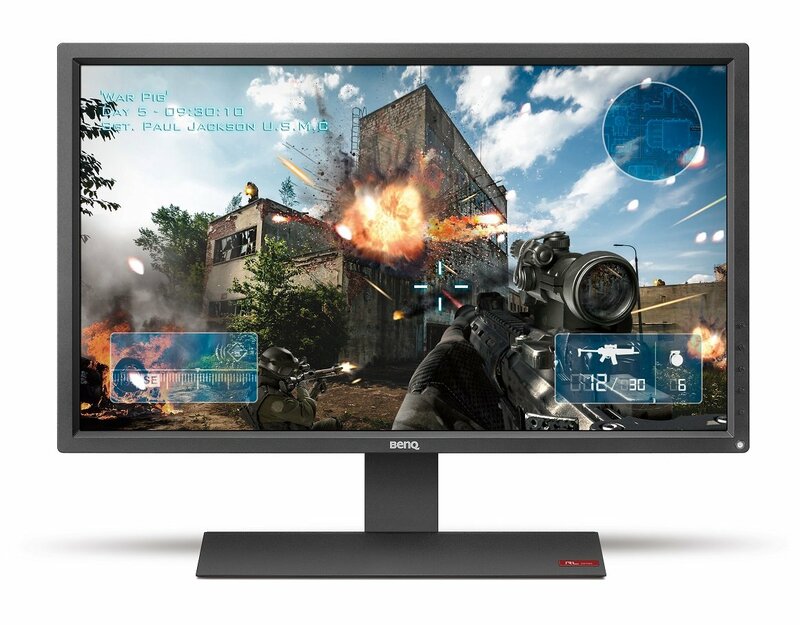 The BenQ BL2711U monitor offers several preconfigured profiles for different design tasks. For example, the CAD/CAM profile provides you with a superior contrast cup to accentuate the 3D color lines. On the other hand, the animation mode offers you great detail in dark shadows. Other preloaded modes include one mode for video editing and another mode for graphic arts. The monitor also includes a light sensor, but unlike the BenQ EW2770QZ, depending on the ambient light only the brightness of the screen will be adjusted and not the temperature of the colors. 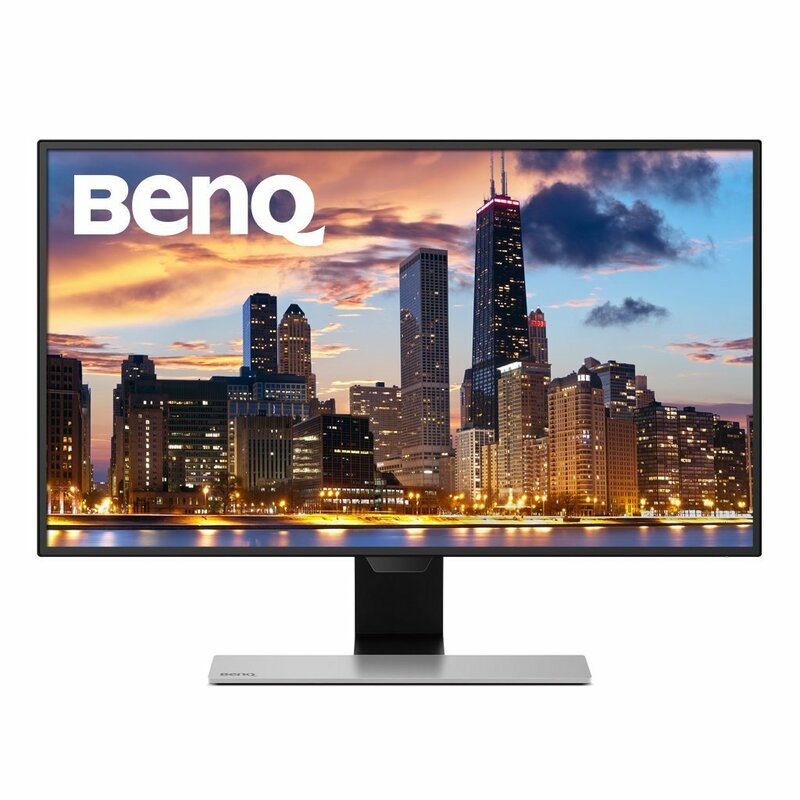 As for the rest of the functions of the BenQ Bl2711U , this model includes 1 DisplayPort port, PiP mode, and PbP to see several sources on the same screen, a flicker-free display and a response time of 4ms. The ports included are 4 USB 3.0, 1 HDMI 1.4 and 1 HDMI 2.0, 1 DisplayPort 1.2, 1 DualLink DVI-D, 1 audio output port and another input output for the 2 3W speakers. The monitor is also completely ergonomic. If you are looking for a monitor that is mainly designed to be used with video game consoles, then the BenQ Zowie RL2755 is what you need. It is compatible with the Xbox 360, Xbox One, PS3, PS4, Wii, Wii U and also with your computer. All these consoles have a resolution limit of 1920X1080 and a refresh of 60Hz. These specifications are exactly what the BenQ RL2755 offers. This monitor offers an 8-bit TN panel with 170 ° horizontal and 160 ° vertical viewing angles, a 1ms response time, and an “input lag” for immediate on-screen responses. This display for eSports also comes with a black equalizer to be able to see dark scenes in great detail, as well as to include pre-configured profiles for genres such as RTS, FPS, and fighting games. The screen of the BenQ Zowie RL2755 is also free of blinks and includes a blue light filter so you can enjoy hours of competitive gaming without damaging your eyes. This design includes a hook for headphones, is compatible with VESA mount and can be tilted from -5 to 20 degrees. The monitor frame is specifically designed to reduce annoying glare due to the reflection of natural light in your room. The connectors that this monitor includes are 2 HDMI 1.4, 1 Dual-Link DVI-D, 1 VGA, 1 microphone input, 1 audio output and 1 audio input for the 2 2W speakers mounted on the body of the monitor. In general, the BenQ Zowie RL2755 (Check Price ) is easily the best 27-inch monitor that is below $300 for console gaming. There are many monitors that will be launched this year. We will be adding these monitors to the list once they are launched, in addition to adding those that we find to have a satisfactory performance after we test them. If you think we have omitted some 27-inch monitors worthy and you think they are better options than those we propose, please let us know in the comments! You can also search for each monitor on your corresponding website so you can find much more specific reviews. We hope we have been able to help you choose your new ideal monitor and we will update the list regularly so that you can find us next time you search for a new monitor. However, the gaming monitor market is saturated with thousands of products. It makes choosing the best gaming monitor that suits your particular need very difficult. Here we try to shed light on the factors to consider while buying one and the best monitors for gaming, designing, video editing, and professionals.